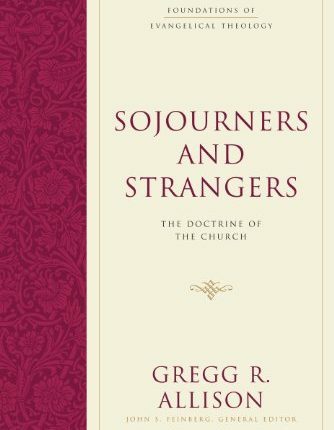 What follows is an interview of Dr. Gregg Allison on ecclesiology and his new book, Sojourners and Strangers: The Doctrine of the Church. Dr. Allison is a Professor of Christian Theology at the Southern Baptist Theological Seminary. He is the author of the acclaimed Historical Theology: An Introduction to Christian Doctrine and other books. He is currently the book review editor for theological, historical, and philosophical studies, Journal of the Evangelical Theological Society. 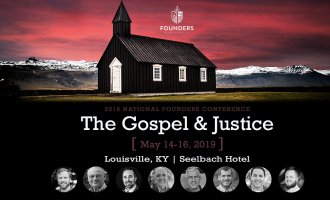 Dr. Allison is also the secretary of the Evangelical Theological Society, in which he serves on the editorial and membership committees and regularly presents papers at its national meetings. I would especially like to thank Dr. Allison for taking time out of his busy writing season to answer a few questions for us. JE: What is the title, topic, release date, and publisher of your book? GA: Sojourners and Strangers: The Doctrine of the Church (Wheaton, IL: Crossway, 2012). Release date is November, 2012. JE: Why did you write the book (any specific occasion or felt need)? GA: A former professor of mine and good friend, John Feinberg at Trinity Evangelical Divinity School (near Chicago), as the editor of the Foundations of Evangelical Theology series, contacted me and requested that I write the volume on ecclesiology for the series. GA: The church in the United States faces many challenges today. 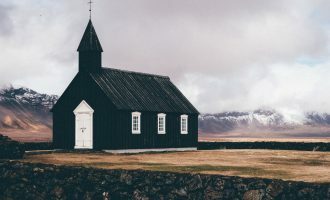 One is doctrinal: every traditional Christian belief is under attack from both the outside—atheists, scientists, postliberals, postmoderns—and the inside—that is, from within the church, by theologians, biblical scholars, pastors, and even ordinary laypeople with a penchant to stir up trouble or who naively contribute to the problem with their unguarded writings. These doctrines that are under attack include (this is not an exhaustive list) divine sovereignty and retributive judgment, the inerrancy and authority of Scripture, the relationship of the God of Christian Scripture to Allah, the Trinity, the exclusivity of Jesus Christ for salvation, the atonement, human nature, and the future conscious punishment of the wicked in hell. 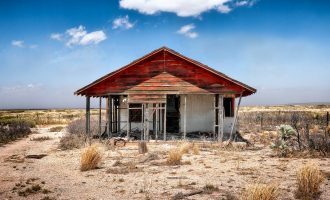 The second challenge is compromise: the current evangelical church mirrors frighteningly the modern liberal society of America, with its emphasis on individualism, tolerance, personal rights, egalitarianism, gender and sexual confusion, antiauthoritarianism, and the like. The third is its traditionalism (this point does not contradict the second challenge), as seen in its emphasis on programs geared almost exclusively toward its own members, its lack of focus on genuine community, its inability to raise up and train its own leaders from within, its legalism, and the like. JE: Did you learn anything unexpected or surprising while researching for and writing this book? GA: What I learned became what I consider to be the major contributions I make in this book: (1) The identity markers, or attributes, of the church: the church is doxological, or oriented to the glory of God; logocentric, or centered on the incarnate Word of God, Jesus Christ, and the inspired Word of God, Scripture; pneumadynamic, or empowered by the Holy Spirit; covenantal, or gathered as members in new covenant relationship with God and in covenant relationship with one another; confessional, or united by both personal confession of faith in Christ and common confession of the historic Christian faith; missional, or identified as the body of divinely-called and divinely-sent ministers who proclaim the gospel and advance the kingdom of God; and spatio-temporal-eschatological, or here but not here, already but not yet. (2) My view of church discipline is quite different from the common perspective. I see it as a proleptic and declarative sign of the divine eschatological judgment meted out by Jesus Christ through the church against its sinful members and sinful situations. In other words, when the church acts to discipline one of its members, it is rendering a forecast of the judgment that this member will face at the judgment seat of Christ unless that member repents, but the church’s declaration is not infallible, for the infallible pronouncement belongs to Christ and Christ alone. (3) I do some more exploration of biblical support for multisite churches. (4) I strongly affirm and warrant the biblical and historic Baptist view of the ordinance of baptism. (5) I offer a nuanced view of the presence of Jesus Christ when the church celebrates the Lord’s Supper. There’s more, but this hopefully will wet people’s thirst for more! JE: What are some other sources you would recommend for our readers to dig deeper into the subject? GA: From a different (paedobaptist) perspective, Michael Horton, People and Place: A Covenant Ecclesiology, is excellent. For a beginning study of ecclesiology, Mark Driscoll and Gerry Breshears, Vintage Church: Timeless Truths and Timely Methods, covers the essentials in a readable style.